[Link] Talks on adopting technology, specifically blogging, into education. Tomorrow's education. Using blogs as an educational tool and part of the curriculum. Awareness and understanding will lead to adoption. Persuasion - it will bring skills to kids (one level is writing, another is interacting with topics, the other is most definitely technology). Adoption - learn from others. "In their weblogs, students exercise critical thinking, take creative risks, and make sophisticated use of language and design elements. In doing so, the students acquire skills that may be useful to them in both scholarly and professional contexts." What about adoption? What does it do? The Economic Survey of Pakistan 2004-2005 was released by the govt. on June 4, 2005. Read it here. . .
“An Ancient Connection”: The Indus River, the Silk Route, the Grand Trunk Road, and the Makran Coast." The need to conduct a research on the Pakistani identity is important because it is necessary, and it compels continuity. It is necessary because as a relatively new nation-state in this world, Pakistani’s are in a constant struggle with how they see themselves; more succinctly put, what does it mean to be Pakistani post 1947? What is the Pakistani identity? With a 5000-year-old history, the Pakistani identity is historically constituted, not just a product of the last century [Ahsan, 1996]. This identity is indeed rich with an indigenous culture, traditions, and language, separate and distinct from a specific Indian, or Arab, or Turk, or Afghan identity. The problem at hand is that most Pakistani’s at present do not appeal to their ancient history when confronted with this identity crisis. Most nationalist campaigns only appeal to the recent events that lead up to 14 August 1947. Thus a research conducted on the Pakistan Identity needs to reveal the historical stories and events, which made us who we were yesterday, who we are today, and will continue making us tomorrow. There is a need to inculcate a feeling of surety and confidence by imparting knowledge on being “Pakistani” which appeals to all prehistoric, pre-Islamic elements and entities too. These elements form a large part of being Pakistani, which is often forgotten. Knowledge is power, and such power can dissipate any confusion amounting to how Pakistanis behave, or think, and not be told how they should be doing so. Of course, an historical account is a story of evolution, slow change; of change that has roots imbedded in Pakistan’s present area. “History reveals the truth above politics and diplomacy” [Dani]. This area is known as the Indus valley pre-historically, and at present too. The Indus valley owes its being to the River Indus, which has its source in Tibet. This river cuts through the Himalayas and the Karakoram mountain ranges in the north, and runs through all four plains, south, i.e. N.W.F.P., Punjab, Balochistan, and Sindh. This river is the heart of Pakistan since time immemorial, binding and connecting the whole of the area, the Indus valley historically, or Pakistan, presently. These names can be used interchangeably. The River’s veins or tributaries run through all the four provinces, providing at once life, and subsistence, and hence a common civilization. This important fact predetermines the formation of Pakistan. It immediately distinguishes this land mass from the rest of India, pre-partition, and before any other invading foreign influence that the centuries have brought this way. This fact cannot be reiterated enough, and is often forgotten in light of Pakistan’s political instability, and hostile relations with India [Fairley, 1993]. This fact must be instilled in every Pakistani head and heart, and must precede any other notion on being Pakistani. “In pre-history, Pakistan was one of the lands where civilization was born” Rahmat Ali. The River Indus, the Ancient Silk Route, the Grand Trunk Road and, the Makran Coast, will form the skeleton of this project. Infrastructure is one of the significant causes of development, which is why I wish to study the formation of the “Pakistani Identity” using the latter two historical routes, and the coast, in addition to the River. So far, having gone through a period of texts on Pakistani history has revealed repeatedly that the Archimedean point of our history for nationalists and textbook writers starts with the advent of Islam in 711 C.E. This is because Pakistan at present is an Islamic Republic, and for present day nationalists, this fact is what wholly, and solely makes us “Pakistani.” The pre-Islamic era is ignored and not considered as intrinsic, or is some how “Indian” or “Other”. This project seeks to inform the readers that the Indus region was a prosperous and organized, more than what it is today perhaps. And this fact is just as much a part of being “Pakistani”. Our history is multilateral, not unilateral. Professor Dani says, “A country like Pakistan has deep roots in history, going much further back than the time when the new name “Pakistan” was applied in 1947” [Dani, Ancient Pakistan vol 1]. This fact makes it significant to include all the four possible trade routes during the ancient period as far back as the third millennium B.C.E. The Indus civilization is thus as important as the Egyptian civilization as a landmark of history in terms of organized, systematic living. The Indus civilization had clean and functional cities where a metropolitan culture evolved, and hence a modern lifestyle which bared no equivalence in any other civilization. One could deduce that this civilization was one of the harbingers of urbanization [Samad, 2000]. Briefly, the kind of modern urban lifestyle that the Indus civilization enjoyed was that of 10 m wide streets and lanes, public drainage and sewerage systems in houses, sectors dividing residential areas from the craft industrial sites, the agricultural farms, and public buildings. There is no evidence of palaces or castles, hence no monarchy, rendering it an absolute republic governed by the people. Each city was a city-state. The language they used was Indo-European based, probably belonging to the Brahui group spoken in West Baluchistan, Iran and Southern Afghanistan [Samad, 2000]. In retrospect, it is hard to believe that an ancient civilization is being discussed. It seems more modern and civil than what we are at present. The Indus River being the Archimedean point of our civilization, will thus form the foundation of this project. Primarily, this river distinguishes us from India, Central Asia, and China as an entity. Therefore, it repels, and renders this area sovereign. Secondly, however, it is also this river that attracted many invaders, religions and international traders, to seek the riches of this region, and to flourish. Alexander the Great, Changez Khan, and Muhammad Bin Qasim are but a few of the prominent invaders who fought many Indus heroes to resist their invasion. The spread of Buddhism, Islam, Christianity, and Sufism mark the varying influences on this region, and demonstrates how significant a region it is on the world map. The project will start with an in depth discussion of the Indus River, and its civilization. There is a vast collection of literature available on this region, highlighting its significance in history. The two capital cities of the Indus Empire, are known as Moenjodaro and Harrapa. The first is located in the province of Sindh, the second in Punjab. These were both pre-Buddhist civilizations and extremely sophisticated to say the least. The rest of the Indus civilization was / is present day Pakistan, and extended to the Indian cities of Rajasthan, Haryana, Cutch, and Kathiawar. This civilization was thus spread over vast and varying landscapes, from mountains, plains and deserts [Ahsan 1996, Samad 2000]. There are thousands of sites all over Pakistan bearing evidence, and affirming that we are primarily the Indus Civilization, over and above anything else. “We are not an imported civilization, or culture” [Samad 2000]. This point cannot be reiterated enough, and is the whole raison d’etre of this project. An in depth and thorough study on how we lived 5000 years ago can reveal how our habits, behavior, likes and dislikes, and basic nature, began and have evolved. Such as, were we nomadic or stationary? Liberal or chauvinistic? Feudal or capitalist? Or an amalgamation of all of the above? What was the economic, social and political system of that time, and what have we at present acquired from it? How we were socially organized? What language did we speak? What were the causes of change, evolution and, adaptation? How does an Islamic republic at present supersede our pagan past? These are the main questions that the project will seek to answer. Similarities can be drawn, to demonstrate that “Pakistani” is synonymous with the “Indus citizen”. The Ancient Silk Route is the second focus of this project. This route is one of the oldest paths and means of international trade, and probably the first form of globalization. A study of which is an essential aid to answering the above questions. It will help in seeing how this magnificent trade route influenced the culture of the Indus citizen, once it has been established what the Indus citizen was like in the beginning. The Indus region was part of the silk trade route. Hence what knowledge did this route impart and how did it change, and evolve the Indus citizen; its economic, political and social system? Did the Indus region flourish because of this route? Did the Indus citizen benefit from this route? The Ancient Silk Route began in Xian in China and ended in Venice Italy. This famous route connected East Asia, Central Asia, and the Mediterranean for trade in silk from China to glass from Venice. Along this extensive path, other goods were exchanged according to what each region had to offer, and international migration began. The Silk Route thus, definitely influenced culture and helped in the development of the Indus civilization, as well as many others along the way. Perhaps it is because of this route that we harnessed a tradition of looking to other traditions, such as that of Central Asian, Indian, or Chinese, to confirm our own? Thus it will be important to look at what all was transmitted because of the trade route, such as knowledge, ideas, religion, people, as well as goods [Grotenhuis, 2001]. The Grand Trunk Road connects Kabul in Afghanistan to Calcutta in India. Its purpose in ancient times was as a channel for the import and export of trade between India, Central Asia and the West too, just like the Ancient Silk Route, but the goods were not specific, like silk for glass. Nor was it as vast as the silk route. It stretches across the Indus region 2000Km’s to the west coast of India. The Grand Trunk road was also a road intended for travel regardless of trade, and it still exists and is used today. The Grand Trunk road was given its name by the British, however it was primarily called “The Royal Road”. Contrary to popular belief, this road was first constructed by Chandra Gupta during the Mauryan era 300 B.C.E, not Sher Shah Suri. The latter helped reconstruct it in the 16th century, as he recognized its fundamental importance to the flourishing of the region. The British also recognized this road’s importance, and had it completely metalled to make it suitable for wheeled traffic. Up until then, this road only ran from Kabul to Delhi. The British extended it from Delhi to Calcutta. The Grand Trunk Road has a rich history in itself, and deserves to be studied just because of that. It has obviously played a key role in the development of the Indus region, and beyond. It is where cultures have met and created that unique Pakistani Identity. A study of it will reveal how [Sarkar, 1998]. The Makran Coast located along the provinces of Sindh and Baluchistan, made them maritime coastal states open for trade and invasion. This project will only focus on the Makran coast as a sea gateway to trade for the Indus civilization, before the advent of Islam, formally, and hence before the invasion of the Arab Muslim General Mohammed Bin Qasim in the 8th Century. Both these provinces were intrinsic to the Indus civilization, as Moenjodaro, one of the capitals was situated here, in between these two provinces. Baluchistan at the time was known as Gedrosia, which is a Persian word. Thus, its location was either described as West Baluchistan, or in Sindh. Presently though Moenjodaro is formally placed in Sindh. Thus, the Makran coast served as a trading post for one of the most important capitals, as well as the rest of the region. There were five main trading coastal cities spanning the length of the entire coast. These cities were crucial for trade to the inland cities of the civilization, as well as development all around. They served the purpose of being trading stations or post, supplying goods to the entire Indus river valley. The flow of goods went back and forth; imports were sent north, and exports were sent south to the coast. With the increase in trade, the importance of the coastal cities grew, which led to their expansion in size, and complete urbanization. More land was cultivated in the vicinity which led to industrialization. The coastal cities supplied fish and seafood and shells inland. The ancient coastline of the Indus civilization stretched much farther east than it does at present. Of course, the passage of time and history has redrawn the borders of civilization. At present the Pakistani Makran coast stretches 600 Km. It also has a visually distinct race from the rest of Pakistan that boasts of Arab/African features, rather than Indo-European. Were people transmitted along the sea trade route from Oman and Persia, and Africa? If they were, did they come as slaves, or as traders? Alexander also traversed this region. Did he leave behind any racial legacy, as is attributed to the north of Pakistan? Or are the Makranis a natural part of the Indus civilization? The Makran coast thus deserves special scrutiny on this point [Kenoyer 1998]. There are many aspects to the Pakistani identity. But once it has been determined prehistorically, it could be interesting to see how it is portrayed and perceived at present. Therefore I think a prologue would be essential to see how we have evolved, and reinforce that we are not an imported culture. What is Pakistani at present, or who is the contemporary Indus person? One such way to view the contemporary Indus person would be to look through the lens of contemporary Art, such as the Pakistani film Industry from 1947 till present. But that of course will require a whole separate proposal, once this project is complete. The newest addition to the Lahore School of Economics research cell (CAREB), is Sonia Salim. Her educational background is in International Relations and Philosophy, and she holds a genuine interest in just about anything and everything that is intellectually problematic! She is conducting research on the Pakistani Identity. What is the Pakistani Identity? What does it mean to be Pakistani? What / whom does one appeal to, to find out our identity? Even if one is unable to articulate this question in such organized sentences, this question does perplex us all, be it generation XYZ, or our elders. This issue is either discussed over coffee tables at home, or on late night TV shows. It is a question eternally troubling us, and comes to fore not only in our speech or thoughts, but in our actions too. The problem of national identity crisis, stemmed in the fact that Pakistan came in to being as a nation-state very recently; 1947. However, the history of Pakistan is 5000 years old, and that is something we need to remember constantly over and above 58 years. The Pakistani identity project seeks to go way back in time, we are talking ancient, pre-historic, pre-Islamic, pre-feudalism, pre-capitalism, and get back to the basics of the good old days, where incidentally the most sophisticated civilizations were born here in this land that is Pakistan, then called the Indus valley civilization. Although there is a vast collection of literature already on the Pakistani identity, no student wishes to read it, since they have been afflicted with years and years of Pakistan Studies ennui. What Pakistan Studies fails to do is inculcate a notion of the Pakistani identity. Nor does it look at the present state of the Pakistani citizen, or attempt to intellectualize it, or delve back far enough before the advent of Islam, and be proud of that history. Our ancient history is fundamentally ours, and belongs to the Indus region; the region that is sustained by the River Indus. The Pakistani citizens do not have to consider themselves Arab, Indian, Central Asian, Chinese, or Persian but rather a wholesome Pakistani through and through, historically constituted. King Banaian’s blog site SCSUScholars is very useful for students of economics who want to broaden their intellectual horizon. Apart from discussing events of interest at St. Cloud State University and elsewhere, King Banaian has published classroom notes for his students. He says, “These are notes written after rather than before a class I taught over 23 May - 11 June 2005. I have an unwritten outline for each class, but occasionally the class veers towards a topic I did not plan on but decided to incorporate. I journal these after class to have a record of what was said.” These notes are a wonderful resource for any economic student. See the notes here. King Banaian is the head of the Economics Department at St. Cloud State University, Minnesota. 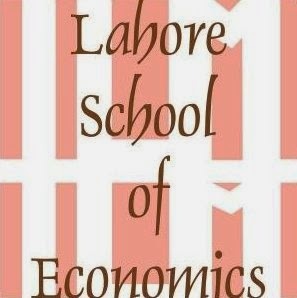 Thanks to Assistant Professor Dr. Douglas Bass (at the University of St. Thomas, in the state of Minnesota) for visiting Lahore School of Economics Blogsite and sending link to is the SCSUScholars.